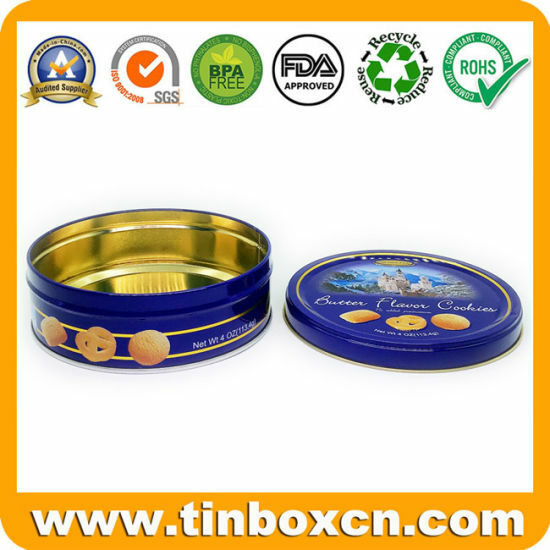 Round Tin, Round Can, Round Tin Can manufacturer / supplier in China, offering Custom Round Tin Can, Tin Box, Food Tin, Metal Tin Packaging for Candy, Chocolate, Cookie, Biscuit and Snack, Premium 3D Embossed Metal Square Coffee Tin Box with Matt Varnish for Tea Food Storage, Small Metal Energy Mix Gift Packaging Box Round Fruit Nut Candy Coffee Tea Tin with Plug Lid and so on. 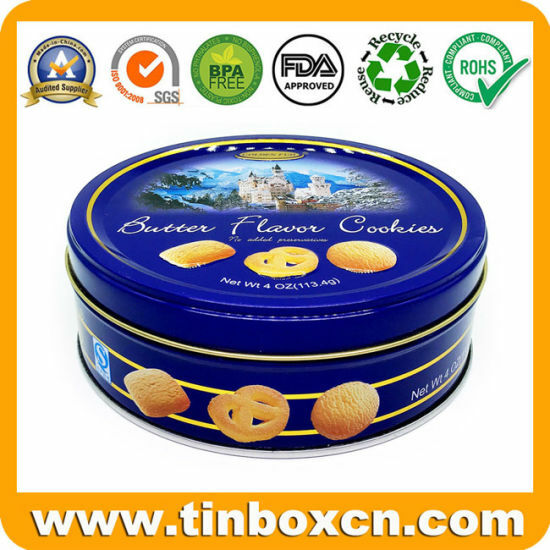 Certificate: ISO, SGS, ROHS, FDA, BPA, REACH. 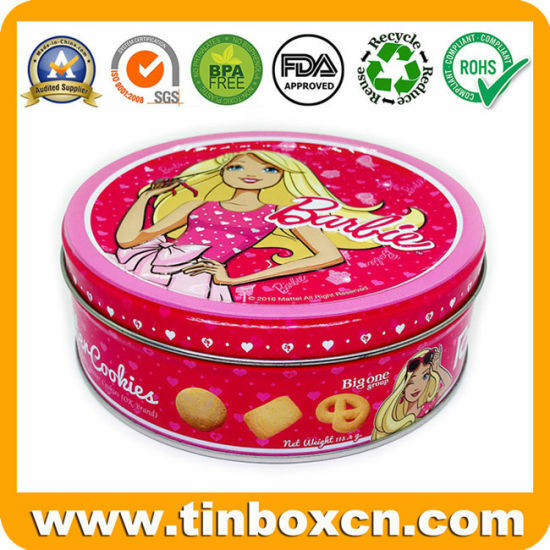 Brilliant Tin Box Manufacturing Co.,Ltd was established in 1998, specializing in manufacturing various kinds of tin box, tin can, round tin, rectangular tin, square tin, food tin box, chocolate tin, candy tin, coffee tin, cookie tin, cake tin, mint tin, tea tin, gift tin box, watch box, cd tin case, dvd tin box, perfume tin, sliding tin, wine tin, cigarette tin box, candle tin, tin pail, tin ice bucket, lunch tin box, handle tin box and so on. 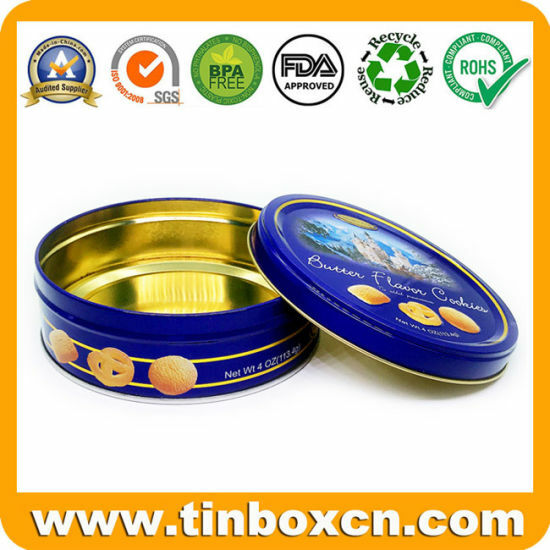 A: We Brilliant Tin Box use food grade lacquer to coat on the inside of the tin to prevent corrosion and interaction of the tin with the food product and thus make it suitableand safe for food storage. A: You can send us an email to advise which item you are interested in, we will provide free samples to you for review if we have in stock. Don't worry about the international samples shipping fee, we will handle it as well. A: We do not provide a list to our customers. All items are quoted individually. As we know, the price can beeffected by several factors, such as material thickness, product shape, size, order quantity, print colors etc. Therefore, we calculate the prices as per the customized requirements of each client. Please tell us your requirements and we shall find the bestsolution for you. Q: We provide perfect pre-sale and after-sale services. With respect to pre-sale service, we hear our clients' need and assist them to choose the most cost effective way to achieve the best results. In terms of after-sale service, if any problems or issues occur after clients receive our shipments, we will be taking the full responsibility to help clients solve them or provide a satisfied solution to our clients. 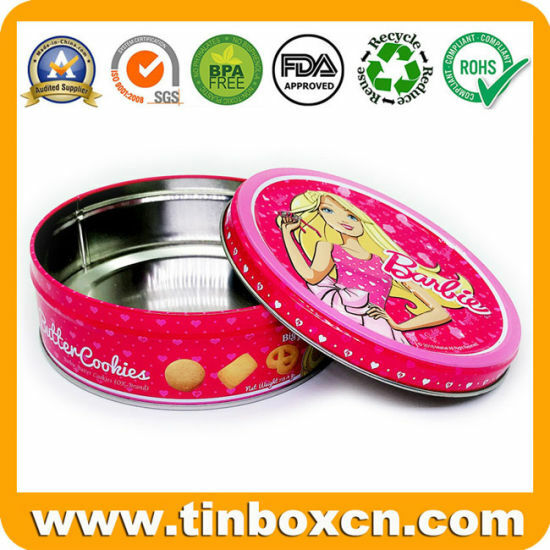 For example, if clients find any defective tins when they receive the shipments, we will be either processing refund or making replacements for clients on the next order.